The dream of flying is as old as mankind. Our vertical windtunnels can make this dream happen for everyone. 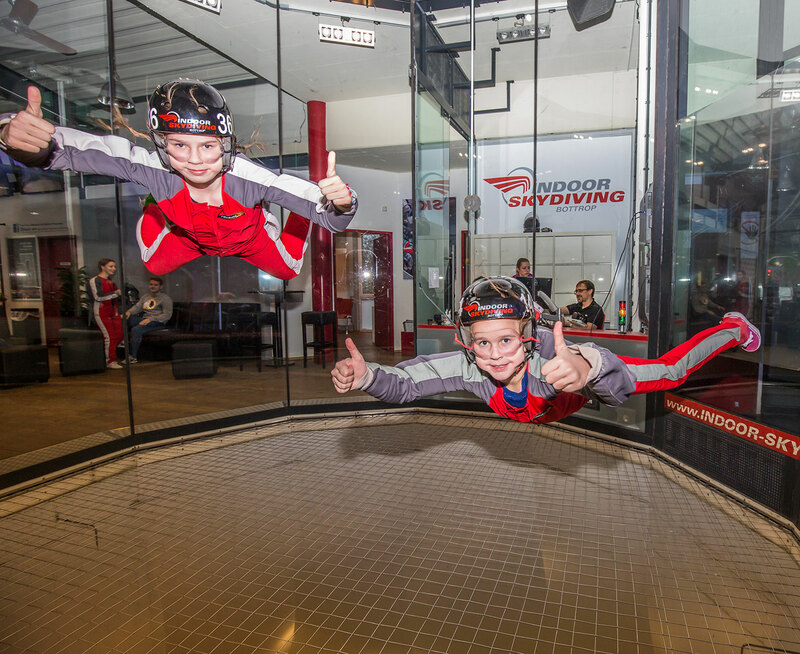 Learning to fly in a windtunnel is easily manageable within a short period of time without any prior experience or training. It is a truly riskless method to taste skydiving and experience the feeling of freefall. Our closed vertical windtunnels generate a steady, turbulence free airstream making the first flying manouevres even for beginners dead easy. The glass flight chamber allows a secure “wall-to-wall” flying. Unlike in outdoor facilities, dropping out of the airstream is impossible. The bodyflyers’ feeling of wide open space remains thanks to our full glass construction. At the same time the audience gets its money’s worth. Our full glass flight chamber allows family, friends and visitors to experience people flying first hand.